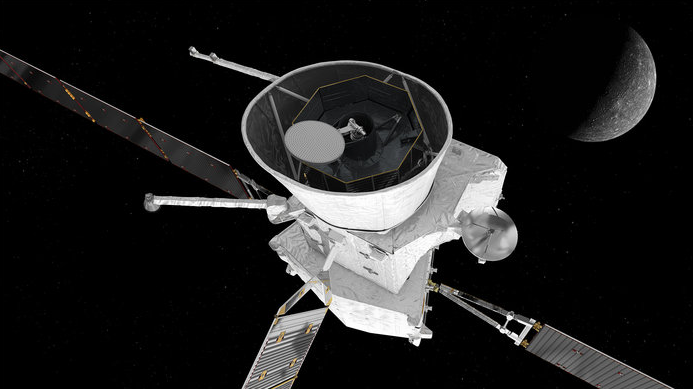 As the date fast approaches with the upcoming launch of the Mercury bound spacecraft BepiColombo, RUAG Space is preparing to steer the spacecraft's system. That's quite a responsibility considering the mission's flight is for seven years. On October 20, the Mercury-bound spacecraft BepiColombo will launch from the European spaceport Kourou in French Guiana (South America) into space using a steering system from RUAG Space to explore Mercury, the smallest planet in the solar system. BepiColombo is a joint project of the European Space Agency (ESA) and Japanese Aerospace Exploration Agency (JAXA). The spacecraft’s steering system, which will ensure the correct course to Mercury, was developed and built by Europe’s major space supplier, RUAG Space. The products have been delivered to satellite builder Airbus. The BepiColombo steering system consists of four high-precision positioning mechanisms for the electric satellite engines and a central electronic control unit. Peter Guggenbach, CEO RUAG Space said that their steering systems makes sure that the spacecraft is heading towards the right direction. RUAG Space is also providing the thermal protection for the Mercury spacecraft. The insulation protects the spacecraft from the extreme temperatures in space. Guggenbach continued saying that Mercury is the planet nearest to the sun, so the spacecraft has to withstand extreme heat of over 450 degrees Celsius. 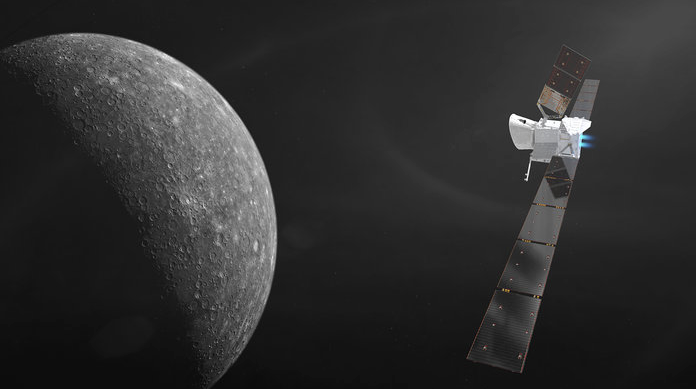 BepiColombo will explore Mercury (artist’s impression of BepiColombo approaching Mercury). Copyright: ESA/ATG medialab; Mercury: NASA/JPL. Artist’s impression of the BepiColombo spacecraft in cruise configuration, with Mercury in the background. On its 7.2 year journey to the innermost planet, BepiColombo will fly by Earth once, Venus twice and Mercury six times before entering into orbit. The white-colored thermal insulation consists of high-temperature insulation made of ceramic fibers on the outside. It also serves as protection against micrometeorites. RUAG Space is Europe's market leader in the field of thermal insulation for spacecraft. Almost every European satellite is protected from extreme heat and cold in space by thermal insulation from RUAG Space. BepiColombo will be launched with an Ariane5 rocket. The top of the rocket, the payload fairing, was built by RUAG Space. A payload fairing is a nose cone used to protect a spacecraft against the impact of dynamic pressure and aerodynamic heating during launch through an atmosphere. RUAG Space states that it is the world’s leading supplier of composite technology payload fairings. Also, the “brain” or on-board computers of the Ariane rocket, was produced by RUAG Space. For BepiColombo, RUAG Space also supplied the ground equipment and satellite containers for transporting the spacecraft on Earth. The BepiColombo mission is named after the mathematician Giuseppe Colombo. The mission consists of a transport stage and two separate orbits. After seven years and several swing-by maneuvers of Earth, Venus and Mercury, the probe will enter orbit around Mercury. The probe will be equipped with a variety of instruments to study the planet and its surface will be precisely mapped and an elevation profile created. The chemical and geological compositions of its surface, as well as its magnetic and gravitational field, are determined in more detail.